Posted April 15th, 2011 by Lee & filed under MailBigFile News. Since we started in 2005 our service has grown and grown. 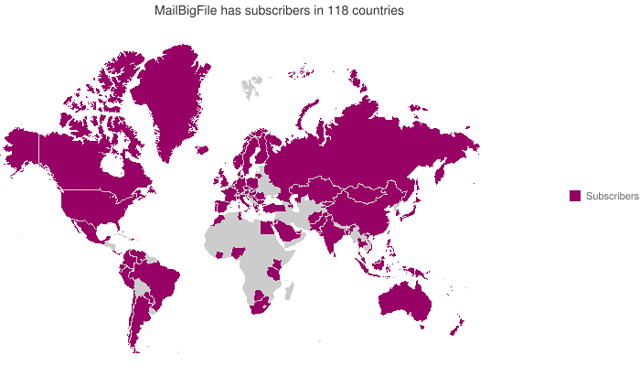 Based in the UK, MailBigFile is now being used in 118 countries worldwide and continues to expand and develop. With a host of new features in the pipeline and a growing team we look forward to working with you in the future and hope our service continues to fulfil your needs.